Plymouth Argyle have offered a new contract to veteran Paul Wotton. 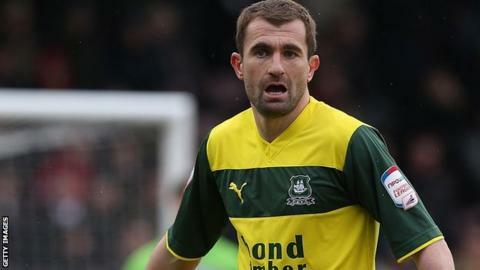 The 36-year-old midfielder became the club's joint-second highest appearance maker when he played his 491st game for Argyle at Portsmouth on Saturday. Durrell Berry, Andres Gurrieri, Matt Lecointe, Curtis Nelson and Nathan Thomas have also been offered deals. Tyler Harvey has had his contract extended, while River Allen and Aaron Bentley have been offered their first professional contracts. But boss John Sheridan is releasing seven players, including Benin international Romuald Boco. Also leaving are defender Maxime Blanchard, who joined on a free transfer when the club was in administration in 2011, former Barnet goalkeeper Jake Cole and Neal Trotman. Youth team products Luke Young, Isaac Vassell and Matt Parsons have also been released.